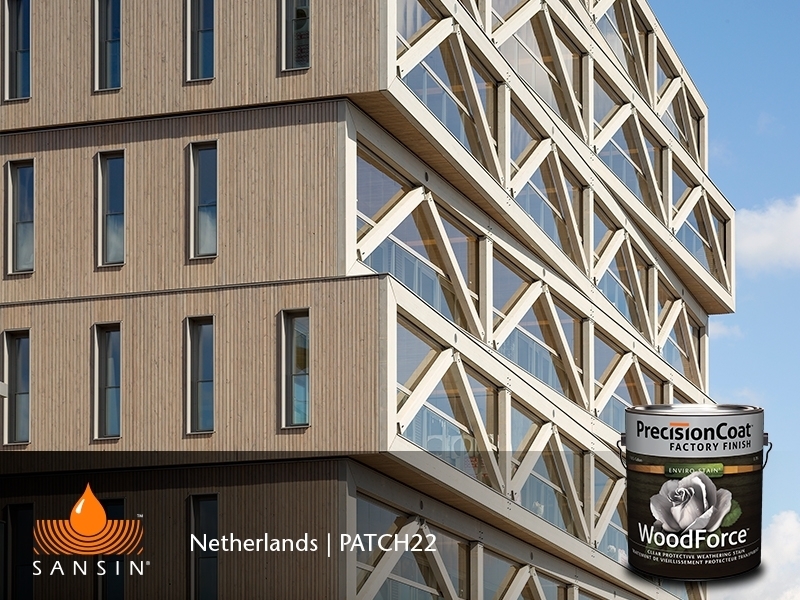 High-performance, ultra low-VOC finish for a naturally-weathered look. 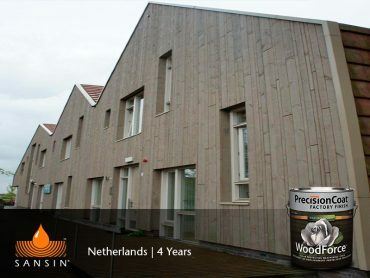 Sansin WoodForce is an ultra low-VOC, water-borne protective wood treatment optimized for factory application that aggressively repels water while allowing wood to breathe. 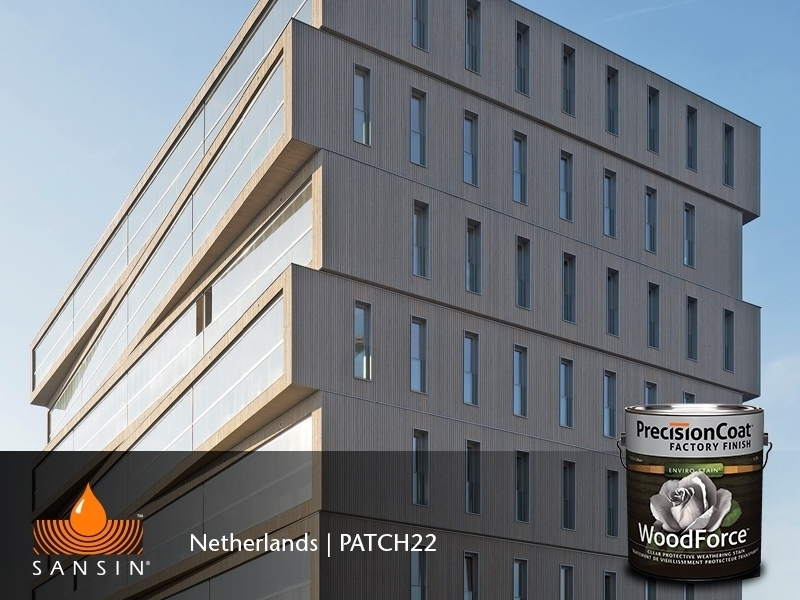 This high-performing factory finish provides exceptional protection and won’t break down with exposure to sunlight, retaining its water-repellency and protecting against weathering and wood rot. 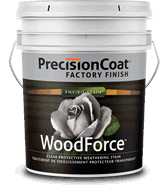 Because it erodes gently over time, long-term maintenance is easy – the end user can apply a fresh coat of WoodForce, as needed. 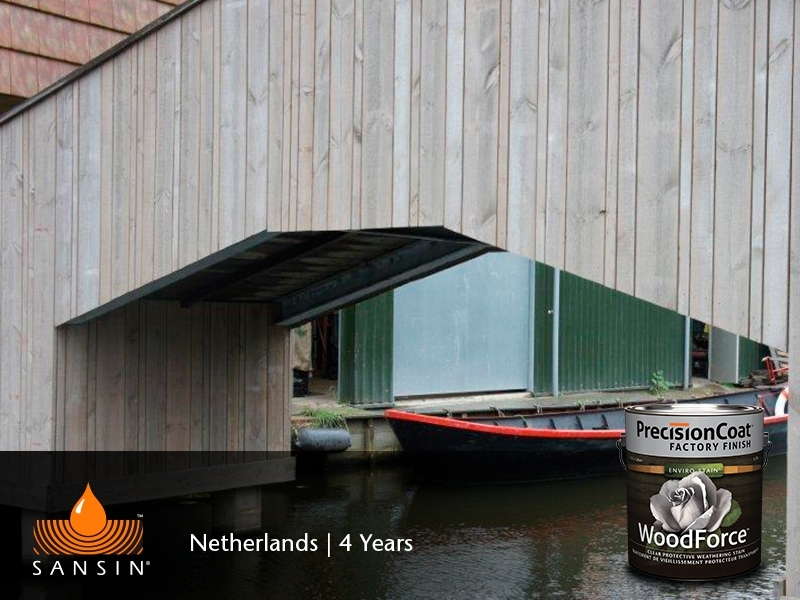 Sansin WoodForce reduces water absorption up to 74% during wetting periods. 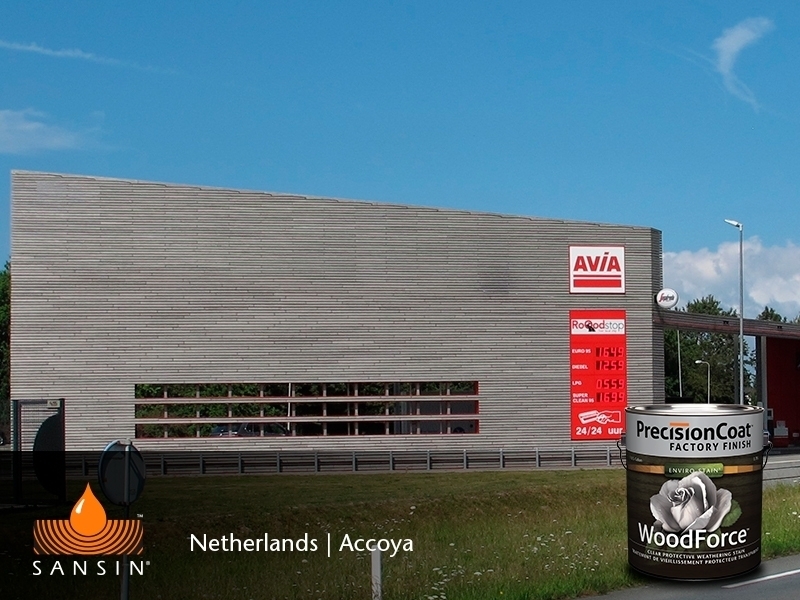 WoodForce is available in clear, gray tones and vintage colors. It will not peel and can be used for a wide range of interiors and exterior factory applications including decks, fences, wood shingles, gazebos, yard furniture and wood siding. 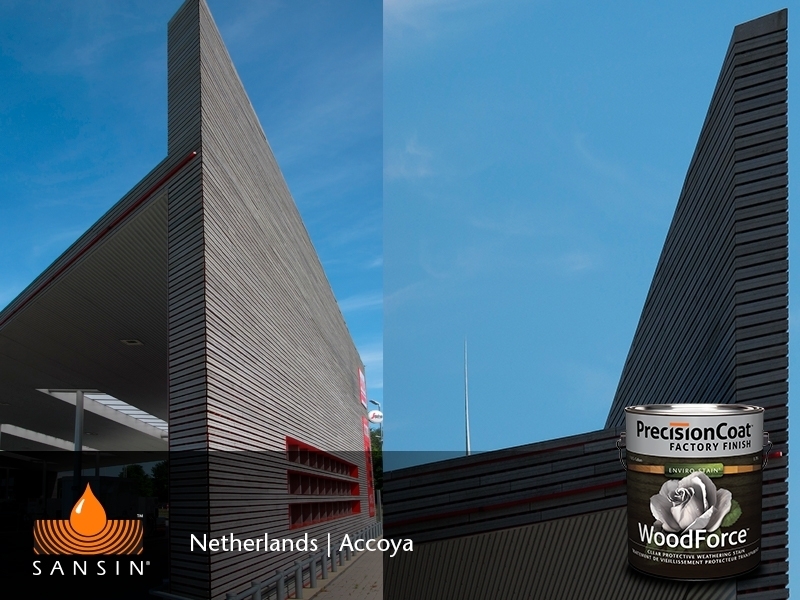 Our colors have been optimized for accurate viewing across a variety of media. However, due to differences in how screens display color, actual color may vary. 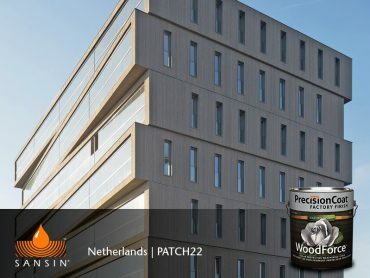 See your dealer for details. Color may vary depending on texture, grain, color, porosity and type of wood and may not be exactly as illustrated. 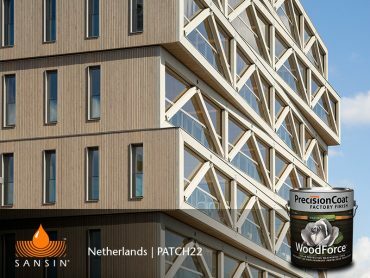 Always test the purchased product on an inconspicuous part of the project to ensure the color and transparency meet expectations of your control sample.